Karen Gann grew up in Italy and in America and is a graduate of Radcliffe College and of the Rudolph Schaefer School of Design in San Francisco. After years of being an art lover and an interior designer she launched into a career of watercolor painting. The artistic experiences in her life have been the years of training in the ballet as a young girl, and years later, the program in interior design at Rudolph Schaefer’s. Happily enough this was an introduction to the world of color theory and, in every painting, she expresses herself through a sequence of colors which relate closely to each other and cover a range of value. 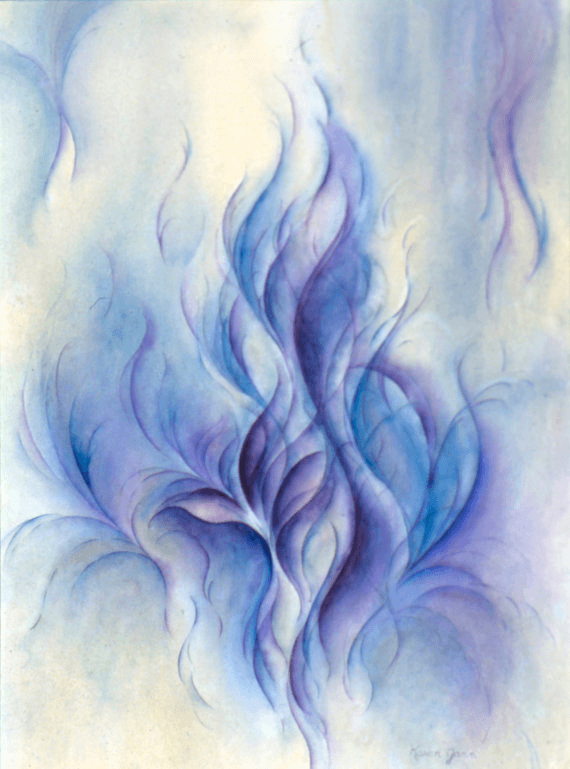 The medium of transparent watercolor is a particular joy for this blending of very hue and merging of values. She also remains keenly aware of spatial relations in every work of art whether it be the layout of a kitchen, the decoration of a living room, the screening of textile, the design of a dress or the more esoteric creation in painting and sculpture. After years of enjoying both modern and traditional modes she realizes that it is the principles of design that interest her; she thus strives for a wholesome ‘oneness’ in every composition. 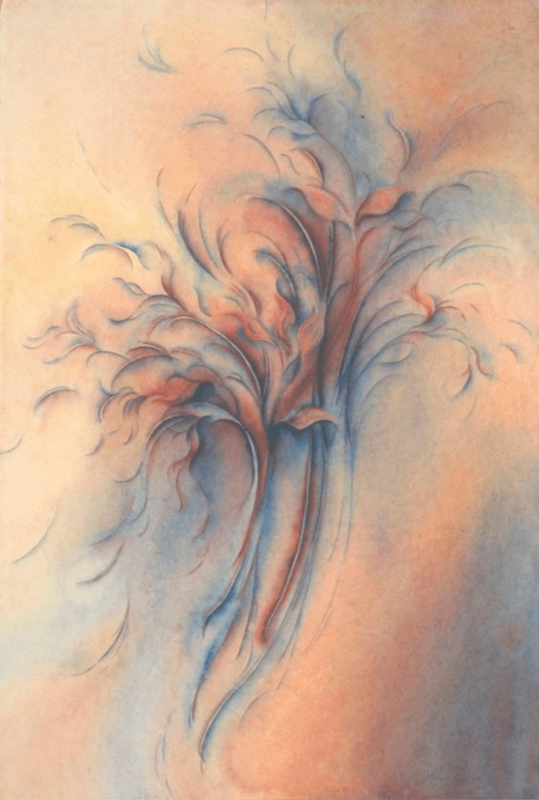 Her watercolors are mostly of florals and landscapes and emphasize rhythm and movement in the forms of foliage and flowers. With the paint brush she again feels – as she did in the ballet studio years ago – that she is truly dancing.